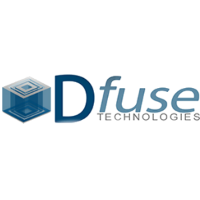 Dfuse provides Information Technology Consulting Services to Public and Private industry: Incorporated 2005 Small, Disadvantaged Business (SDB) Dfuse Technologies, Inc. is a premier provider of information technology and innovative business solutions providing IT services to both government and commercial customers. We have helped our customers to visualize, recognize and execute objectives while balancing cost, schedule and resources. As your partner in mission success, we provide talented workforce in software development, integration and secure implementation of technologies such as: Mobile Application Development, Oracle Fusion Middleware Development, Application Integration, Database Management and Data Warehousing, Web Portals, Reporting and Dash boards, Trend analysis, Visualization and Project Management. Our consultants are highly educated and trained professionals with over 30 years of cumulative experience in their perspective areas. We believe in team success by helping our customers identify the big middle. It's easy to talk about “end to end solutions,” but getting from one end to the other is the hardest part. We call that “the big middle.” And our seasoned technology professionals know what it takes to cover that middle ground and come out on the other end with significant business improvements and serious ROI.